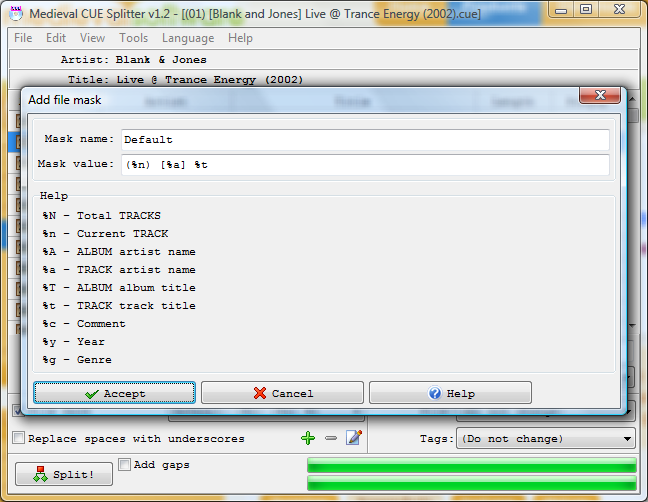 Divide your favorite album or compilation into stand-alone audio tracks! Audio file is not decoded and re-encoded: no quality loss! Process an entire album with a single click! Names can be customized using the file mask engine! It is completely free of charge: freeware!!! Known bug: MPC engine can cause a bit of jitter at the beginning/end of tracks. Help! Limitations: MD5 checksum is not calculated for generated FLAC files. You are on the right place: this is the official port from Enfis The Paladin's version of CUE Splitter, to the Medieval Software one! This is not a fake or a joke, we've simply changed the owner of the project, from Enfis The Paladin to Medieval Software. 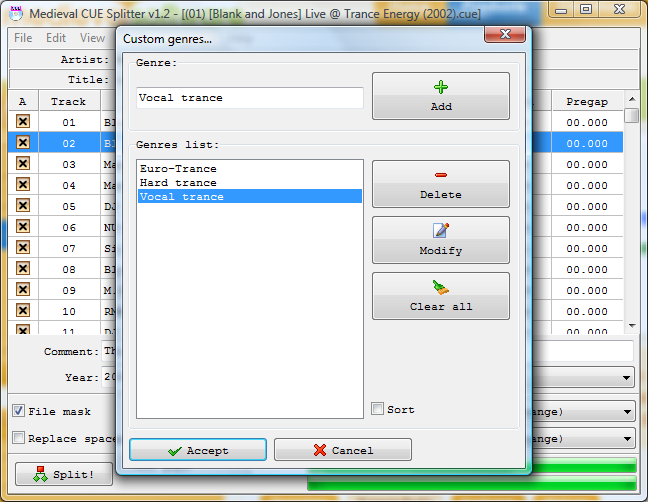 Don't worry and download this new version of Medieval CUE Splitter for free, as always!!! Fixed: strange menu bugs (vertical line). Fixed: A bug into the APEtag loader class. Fixed: "Create new" button don't appear in split destination directory dialog. 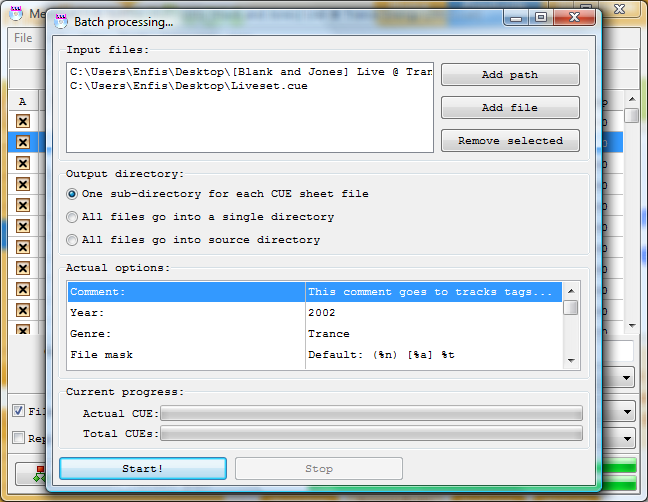 Added: You can save automatically generated CUE sheet files to any text encoding. Fixed: Some generical bugs in main window. 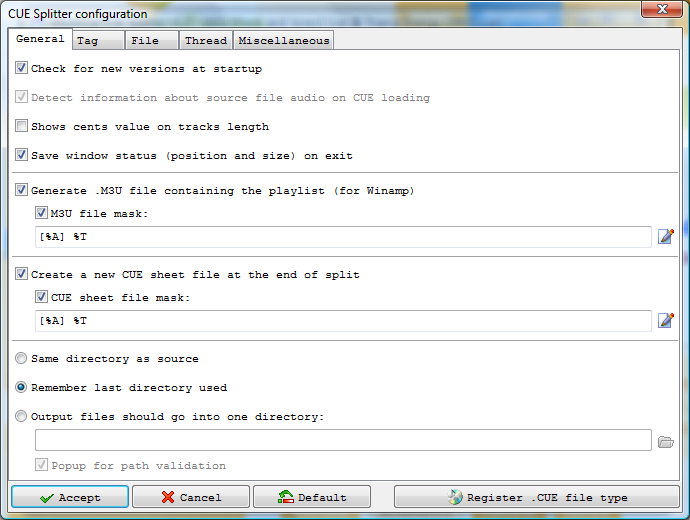 Fixed: Some minor bugs in CUE sheets and graphical interface. Fixed: An ID3v1 tag bug. 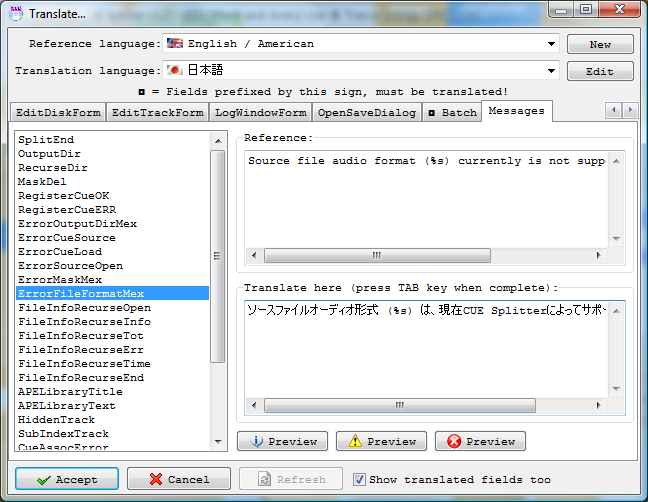 Fixed: Some bugs in class CTextFileWriter. 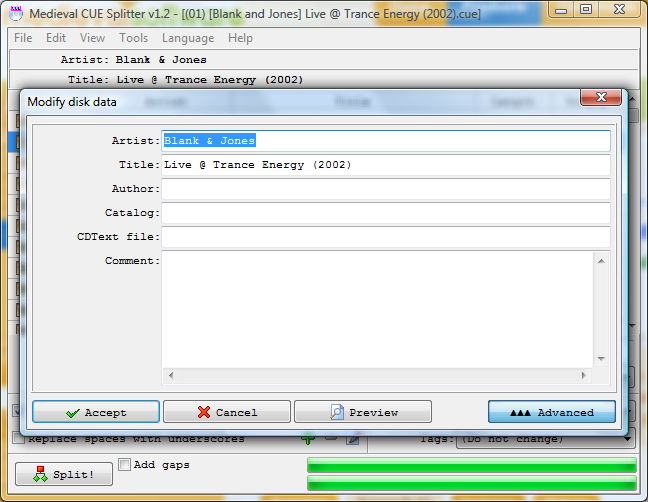 Fixed: "CueSheet" METADATA of FLAC files, is now supported. A lot of work has been made in this release, source code was completely reviewed in order to be portable to different operating system and full Unicode support was added. 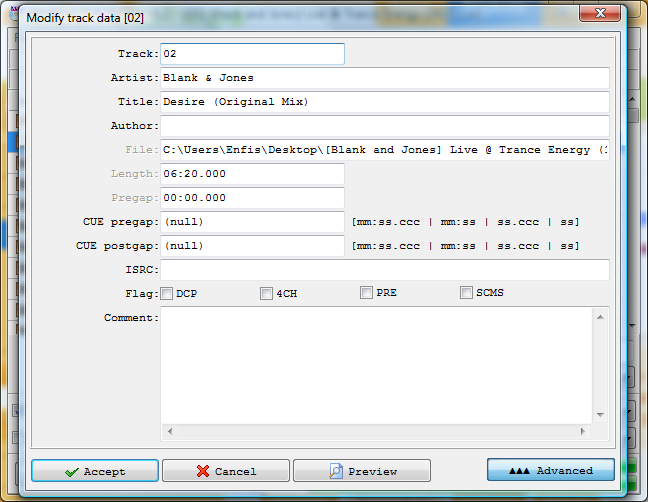 Fixed: Genre on FLAC files now is written without its identification number. Fixed: When scan or split terminates, main window will be restored.